This green building concept tasks building professionals to provide for healthy, comfortable and efficient buildings whilst minimising the consumption of non-renewable resources and the emissions and waste streams to air, land and waters, over the whole life of a building. In most BEAMs the focus of specified performance has been mainly on the assessment of indoor environmental quality (IEQ), expressed in terms of thermal comfort, indoor air quality (IAQ), ventilation, lighting quality, acoustics and noise, and provisions to ensure hygiene (such as prevention of bioaerosols), thereby addressing most health issues. Coverage of other aspects of building performance and provision of amenities has tended to be rather limited. However, buildings can be regarded as being even more sustainable when social and economic dimensions are also given greater attention than otherwise. Inclusion of additional social and economic issues is an emerging trend in the development of BEAMs, although given the impact on productivity and quality of living, IEQ is clearly germane to the economic and social performance of buildings. Since the early 1990’s building environmental assessment methods (BEAMs) have been developed in around twenty countries to provide a more holistic assessment of building performance than previously. Some are well-established and some have been introduced recently. Schemes may cover both new and existing buildings, and an assessment method may be specific to a particular building type. The outcome of an assessment is a grade (platinum, gold, or excellent, very good, or 4-star, 3-star, etc) defined within the assessment method, and based on either the sum of points or credits obtained, or on a more complex calculation incorporating weighting factors. 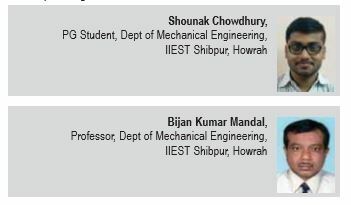 In the context of this paper, an eco-label is the outcome of an assessment (grade) under a particular BEAM. To understand what a specific label signifies in terms of environmental performance or ‘greenness’ it is necessary to examine the range of environmental issues included in the assessment, the standards of performance demanded, the rigour of the specified assessment methods, the relative weighting or scoring of each issue, and the aggregate score required for a given assessment grade. However, it is not feasible to quantify or rate the greenness of a given eco-label in absolute terms. 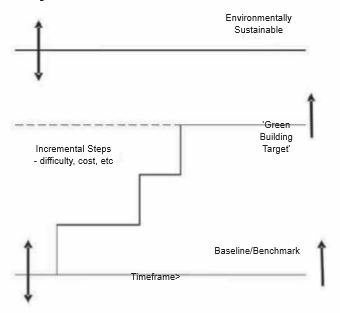 Figure 1 illustrates the absolute levels of environmental performance of the current baseline/benchmarks, as well as the targets for environmental sustainability, are mostly unknowns. Conceptually, figure 1 can apply to a particular performance issue, a building, or even the building stock as a whole. Fig. 1: Performance levels for Benchline/Benchmarks, green and environmentally sustainable. BEAM assessments generally cover the most significant environmental aspects. Effort is given to global impacts such as global warming, ozone depletion, deforestation, regional impacts (NOx, SOx, particulate emissions, river pollution, etc), local impacts (waste, water pollution, etc), neighbourhood impacts (overshadowing, noise, etc), and indoor environmental performance, even though grouping of the various issues differs amongst the tools. The various driving forces behind the implementation of green-building practices are identified and discussed above. 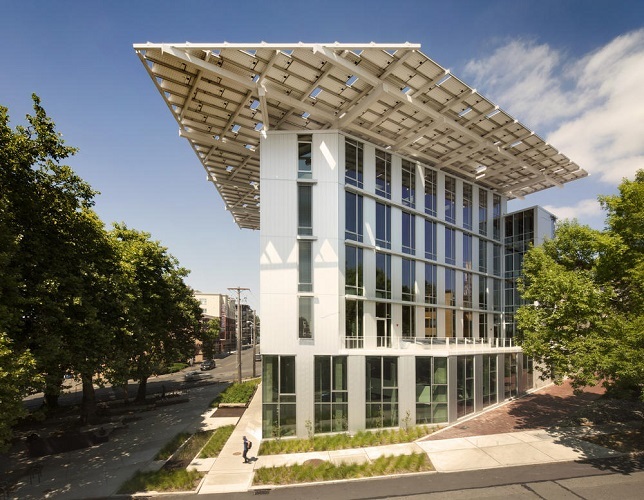 The findings of this study have practical implications for green-building stakeholders. Therefore, a new conceptual framework is developed and illustrated in Fig. 2. Governments can apply this framework to guide their green-building promotion efforts, as the framework helps them identify drivers that would motivate or force green-building adoption among industry practitioners. Individual stakeholders can apply the framework to guide their green-building decisions and hence their commitment to building green or sustainably, as the framework helps them become more aware of the importance and full range of possibilities offered by green-building. As shown in Fig. 2, each category of green-building drivers comprises various drivers influencing it. Drivers within each category are interrelated. For example, energy conservation may influence lifecycle costs of the building. Also, a driver in one category can influence a driver in the others, and vice versa. For example, rental returns may influence return on investment. In Fig. 2, whereas the outlines lead to the main categories of green-building drivers, the dashes represent situations wherein a driver in one category may influence a driver in the others, and vice versa. Several drivers influencing green-building adoption have been identified through a review of past studies. To better understand the drivers for green-building, it is essential to classify and differentiate between them. 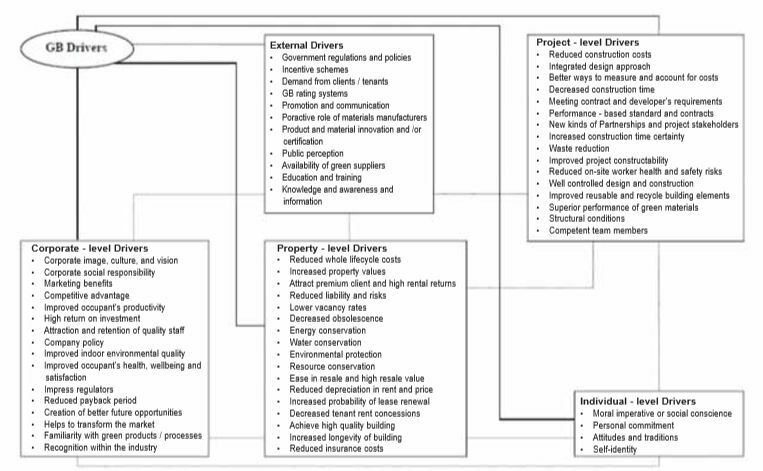 Generally, green building drivers can be grouped into five main categories: external drivers, corporate-level drivers, property-level drivers, project-level drivers, and individual-level drivers. External drivers can be defined as drivers that are mainly set by external parties, such as government, United Nations (UN), European Union (EU), trade unions, and clients/customers, to companies or organizations that building green. Simply put, external drivers refer to events that occur outside the company that develops green-buildings. 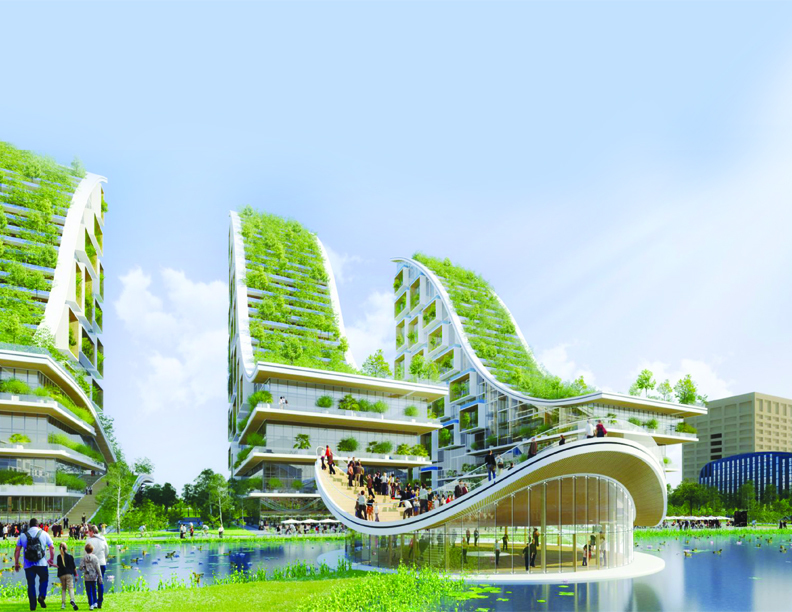 In recent years, many governments around the world have intensified their involvement with the green-building market, and the literature supporting that government’s role is important for driving the green-building agenda is extensive. This study has shown that for green-building in general, there are many more drivers at the corporate level in addition to green image. It is important to understand the internal drivers that enhance business in terms of sustainability. As discussed in the previous section, external drivers such as regulatory incentives and mandates continue to pressure stakeholders to improve the sustainability of their portfolios. Then again, the prospect of future and more burdensome legislation vis-à-vis building design and construction has led some stakeholders and companies to adopt a ‘beyond compliance’ culture either to reduce down-side risk or attain higher returns. 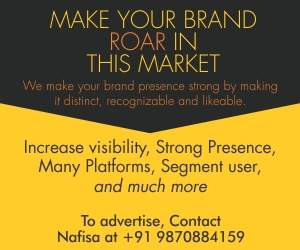 These proactive actions can be viewed as ways to gain certain competitive advantages, such as differentiating oneself from competitors. Property level drivers include increased property values, high rental income, and reduced risks. 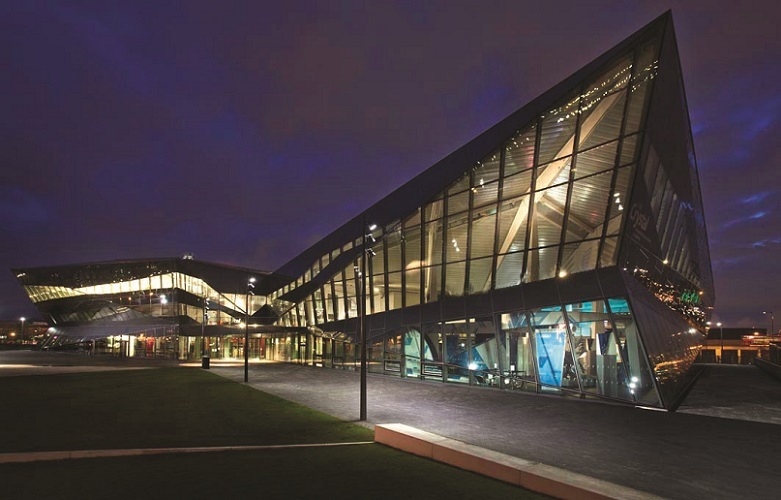 From the viewpoint of stakeholders, the benefits of green buildings are beyond dispute. Green buildings provide distinct benefits through environmental protection to high energy efficiency. Therefore, stakeholders, are increasingly demanding green buildings to reduce both their environmental impact and occupancy cost. Most stakeholders at most times focuses on maximization of the capital value of the building. Although a number of project-level drivers were identified, overall, the number of academic studies providing empirical evidence on each project-level driver is limited. This may be because most certified green buildings focus more on the operational aspects of the building than the construction phase which seems reasonable as it is during the use phase of the building that the majority of emissions and environmental impacts are caused. Decisions at the project level have significant impact on the overall or final cost of the building. Making the right design decisions is therefore required to keep cost within an acceptable range. In individual level drivers, people are proposed to be intrinsically driven to mastery their operational environment; that is to control their own lives or desire a sense of competence, and to a sense of self-regulation, personal volition, and autonomy in their behaviour. Minimising energy use in all stages of a building’s life-cycle, making new and renovated buildings more comfortable and less expensive to run, and helping building users learn to be efficient too. Recognising that our urban environment should preserve nature, and ensuring diverse wildlife and land quality are protected or enhanced, by, for example, remediating and building on polluted land or creating new green spaces. Designing flexible and dynamic spaces, anticipating changes in their use over time, and avoiding the need to demolish, rebuild or significantly renovate buildings to prevent them becoming obsolete. Ensuring transport and distance to amenities are considered in design, reducing the impact of personal transport on the environment, and encouraging environmentally friendly options such as walking or cycling. Seeking to lower environmental impacts and maximise social and economic value over a building’s whole life-cycle (from design, construction, operation and maintenance, through to renovation and eventual demolition). Ensuring that embodied resources, such as the energy or water used to produce and transport the materials in the building are minimised so that buildings are truly low impact. Reduces potential liability resulting from indoor air quality problems. Some of the benefits obtained from green buildings. 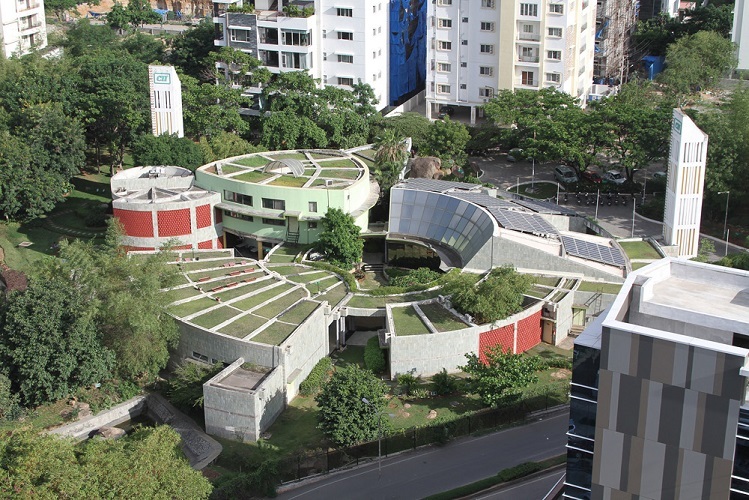 In the present-day scenario, green buildings have been constructed in many parts of the world, including India. Some of the common green buildings constructed in the world are: Bullitt Center in Seattle, Green Building in Cambridge, the Green Building Gallery in Louisville, Sky city in Changsha, the Crystal in London, Manitoba Hydro Place in Winnipeg and many others. Some common green buildings developed in India are: Suzlon one earth in Pune, Rajiv Gandhi International Airport in Hyderabad, CII- Sohrabji Godrej Green Business Centre in Hyderabad, Infosys Limited in Mysore, Infinity Benchmark in Kolkata, I-Gate Knowledge Centre in Noida, Bank of India in Goa, Ansal Esencia, 67 Sector in Gurgaon, Biodiversity Conservation India Ltd. (BCIL) in Bangalore, Olympia Tech Park in Chennai. Some of green buildings present across the world and in India has been presented in the subsequent figures.